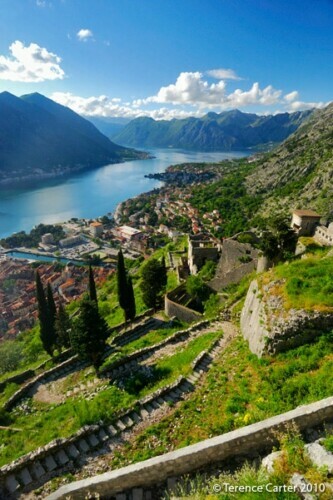 After strolling Kotor’s Stari Grad, you should have warmed up enough for a walk up to Tvrđave Kotora or the Castle of San Giovanni or Castle of St John for stupendous vistas of the fjord and a fabulous birds-eye-view of the Old Town of Kotor, Montenegro. 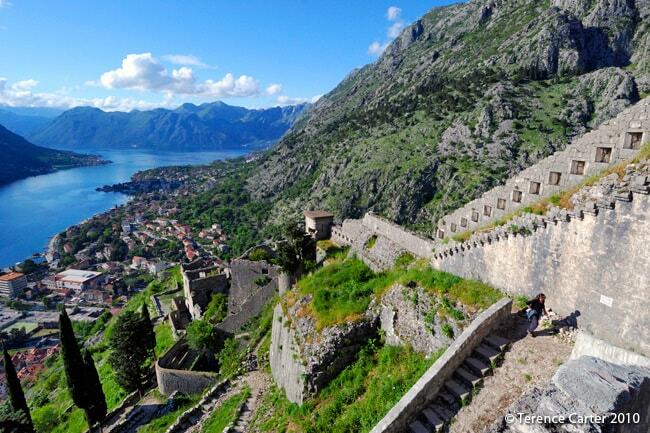 While this rigorous walk up to Kotor’s Castle of San Giovanni, or the Castle of St John as English-speaking tourists call it, is not strictly-speaking a climb, it’s more what a guide friend of ours in Australia calls a “huff ’n’ puff” hike – because you will be ascending approximately 1,350 stairs to a height of 1,200 metres. Phew. These formidable fortress walls date back to medieval times, built on and off between the 9th and 19th centuries, and built by everyone from the Byzantines to the Venetians. While the ramparts may appear dilapidated in parts, they are actually remarkably well preserved and you especially notice this from any of the city gates. From the opposite side of the bay at Muo, our ‘home’ for two weeks, you can clearly see how the walls form a ring around what was once Kotor’s old urban centre, in order to protect the city. This is most visible at night when the ramparts are illuminated. 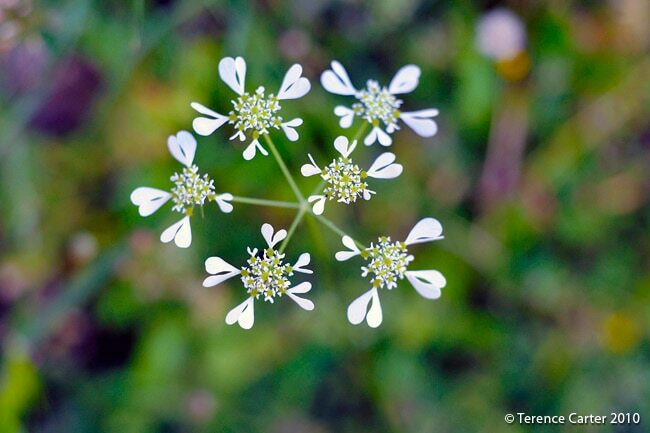 See Terence’s magical time-lapse sequence to see what I mean. The walls are long, around 4.5 kilometres, and wide, between two and 16 meters in different places, while the height reaches up to 20 metres in parts. 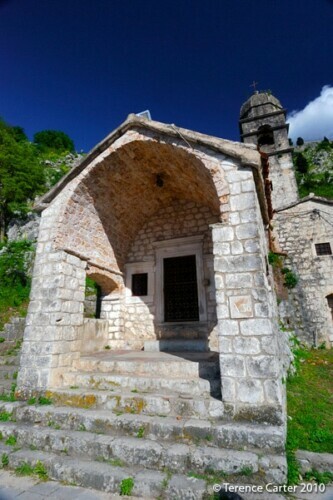 There are two entrances, although the best to take is the main entrance near the River Gate, where you purchase your ticket and will be given a handy descriptive brochure identifying the various gates, bastions, and other significant sites along the way, such as the Church of Our Lady of Health. 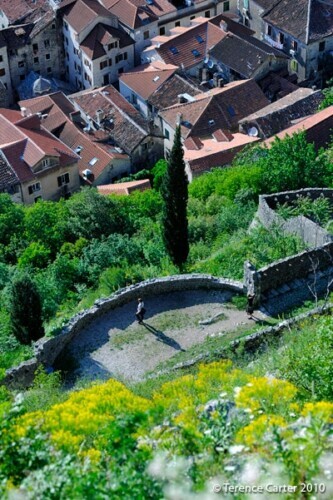 In front of the Church you’ll find a semi-circular stone seat where you can rest and take in the spectacular vistas – and where you may also be tempted to turn back and descend. Don’t. The views of the fjord from just a little further up with the church tower in the foreground are fantastic, and they’re even more breathtaking from the very top. 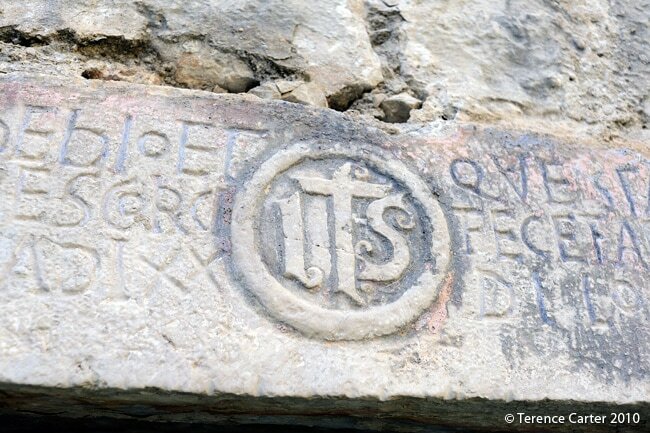 Once at the top, you’ll see a sign on the walls pointing to your left to the Chapel of St Ivan or to the right up to the fortress itself. Head left first and (quite literally) climb through the hole in the wall to visit the pretty little chapel that you see. 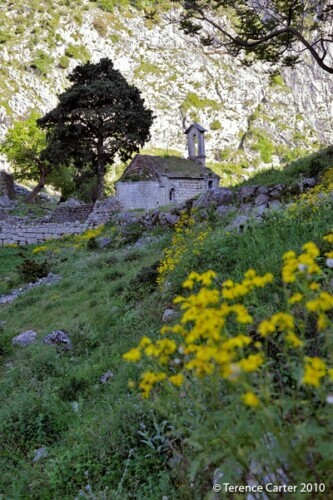 Very few people do yet it’s an idyllic spot: there’s a charming stone cottage on the mountainside, beneath the sheer rock walls of the mountain, from where you might hear the tinkling of goat’s bells, children laughing, or an old couple arguing. 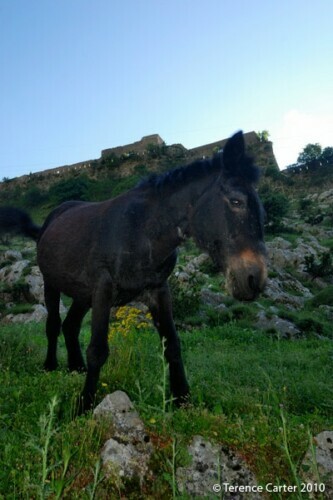 When we visited there was a cow and a horse on the hillside, both munching on grass, a dog frolicking through the field of wildflowers, and an artist followed us looking for a spot to set up his easel. Head down to the church and look inside at the faded painted ceilings. It’s not far now up to the top of the fortress from where you’ll be able to take in even more heavenly views. Well, you’re pretty close to the clouds from up here, aren’t you? 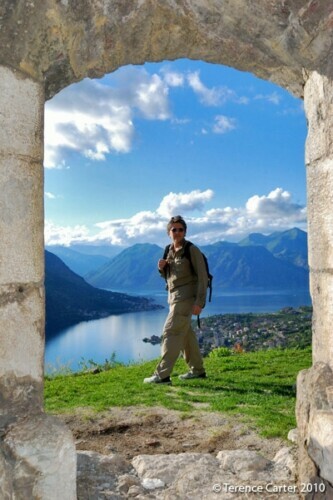 Allow two hours for the hike up to Kotor’s castle of San Giovanni if you’re super-fit and in a rush and around three hours if you’re not or you simply want to take it easy and stop to take photos along the way. 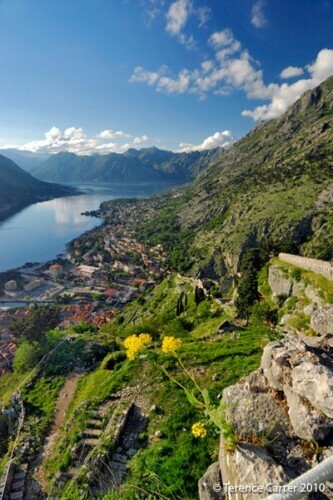 Do the walk up to Kotor castle in the late afternoon when the views of the castle ramparts and stupendous mountains across the Bay of Kotor are best, although note that the views back to the village of Muo are in shadow at this time. Take plenty of photos on the way up, as once the sun sinks beneath the mountain opposite, the bay becomes dark quickly and a shadow is cast over Kotor’s Old Town. 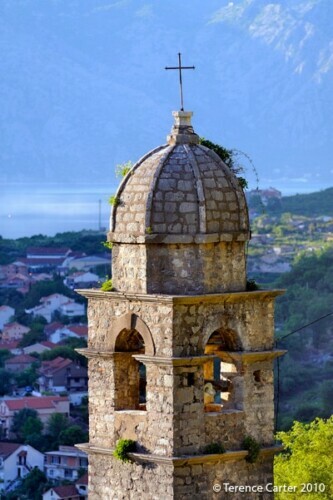 Make sure to do the walk up to the Castle of San Giovanni in the morning too if you can, when the rising sun should give better views of Kotor’s fjord like bay across to the village of Muo. Having said that, it was always hazy, foggy or cloudy in the mornings during our stay. Take care as the stairs up to San Giovanni castle are unstable in places. 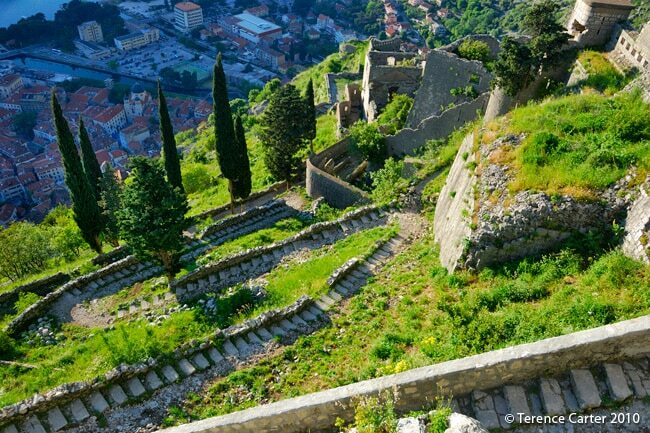 Don’t do the walk up to Kotor’s castle after or during rain when the stones are very slippery. Don’t forget to take a bottle of water and some coins – the entrance fee is two euros per person. 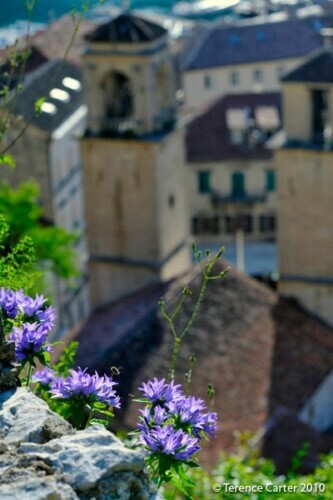 This popular Kotor 1-hour Walking Tour doesn’t go up to the castle but does take in the key sights of Kotor’s Old Town and the guides go out of their way to look after visitors (ask nicely and they’ll probably take you up to the castle after or at least show you the entrance to the steps). 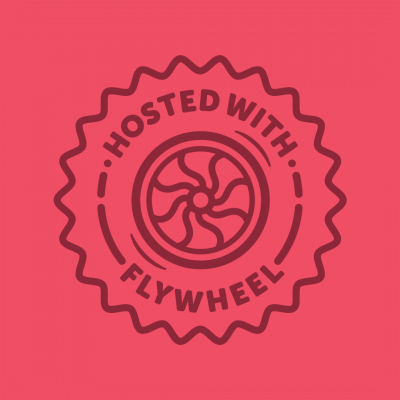 To see a few more attractions, there’s also a 90-minute Walking Tour. 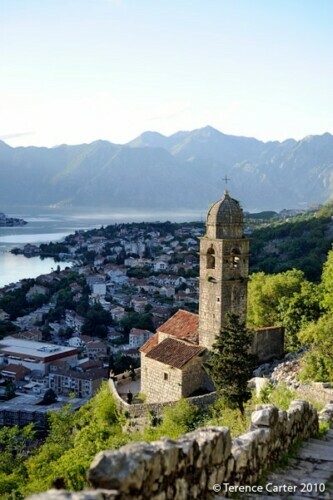 When you’re ready to explore beyond the town, this full day Montenegro Tour by mini-van offers even more stupendous views of Kotor Bay (Boka Bay) and breathtaking vistas from the top of Lovcen Mountain. It also takes in Cetinje and Njegusi villages (famous for its cheese and prosciutto) and is capped off by a peaceful river cruise. Mountains not your thing? 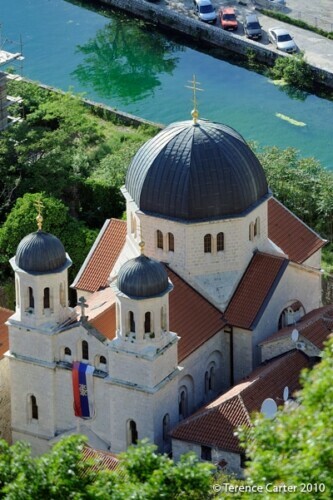 Then this 6-hour tour of the Montenegrin coastline offers jaw-dropping sea views as you drive along the gorgeous Mediterranean coast and includes stops for strolls at the Baroque town of Perast and charming Bodva old town, a boat ride to the 15th century islet Our Lady of the Rocks, and lots more Instagram-worthy photo ops, including one from above beautiful Jaz Beach. 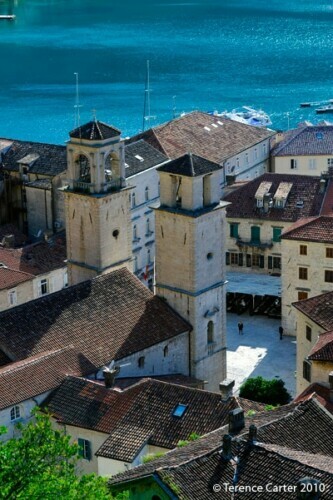 Alternatively, enjoy views of Kotor and the magnificent fjord-like mountains from the water on a private speedboat tour, which offers panoramic views of the Boka Bay coast and includes a visit to the enchanting Our Lady of the Rocks island church, a chance to swim in the Blue Cave near the entrance to Boka Bay, and a cruise around Mamula Island to see the 19th century fortress. 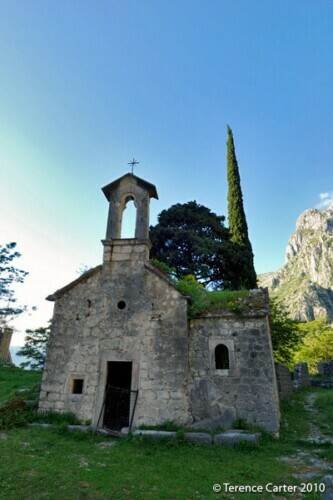 If you’re not staying in Kotor, but are based in Croatia, there are plenty of Kotor day trips from Dubrovnik you can do, such as this private Bay of Kotor excursion by car, for up to three people. 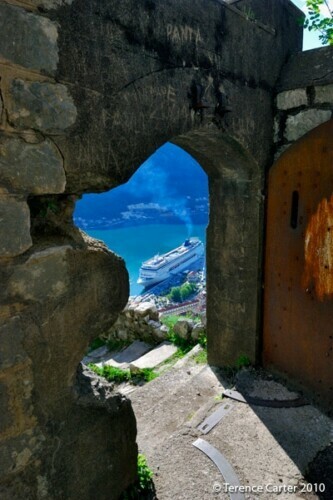 Enjoy your walk up to Kotor’s Castle of St John! We did. We loved it so much, we did it twice! 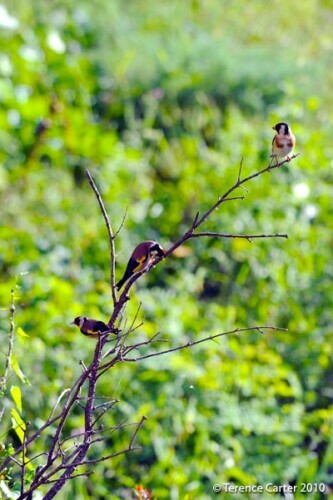 wow – so VERY beautiful!! We’re headed to Montenegro in a few weeks. Nothing set in stone, well now I take that back. 🙂 We simply must do this hike! Gorgeous pictures and scenery. Did you enjoy Muo? 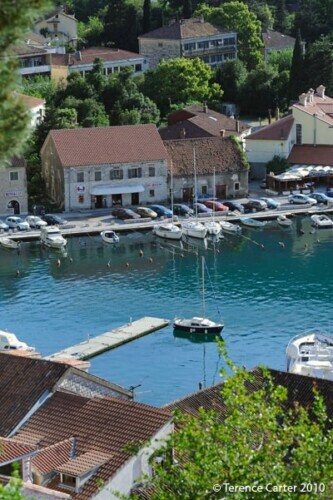 We are traveling without a car, and hoping to find a studio apartment in the region, as we have here in Croatia. You are correct in every way! We just got back from Kotor and did make our way up to the top. We, too, had climbed through the little window to visit the chapel and it was well worth it. Absolutely stunning and breathtaking! Good time of year Adam. Hope you enjoy the views, it’s a beautiful town. We loved Kotor, although we never made it up to the castle. How much time would you say most people spend there? 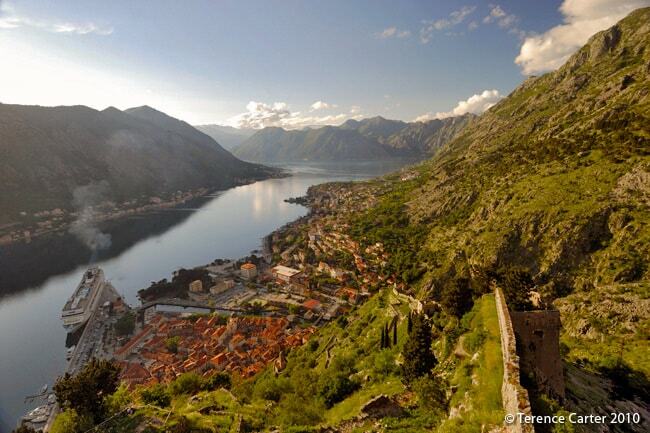 Isn’t Kotor wonderful? We took our time as we were taking lots of pics and simply enjoying the views, so we probably spent a couple of hours. There’s not a lot to actually see in the castle ruins itself. 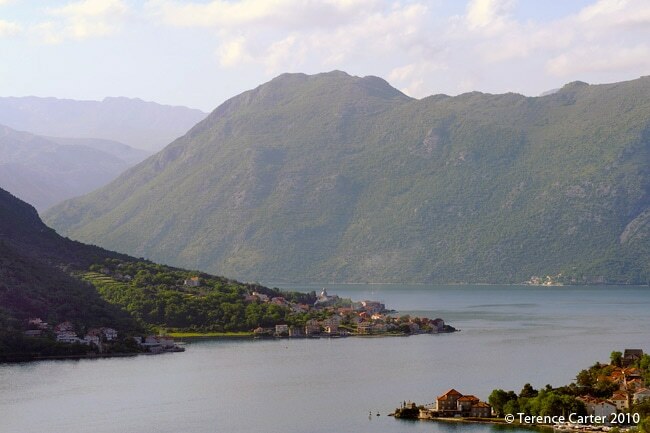 It’s more about taking in those stupendous Kotor bay vistas on the way up and the way down. Don’t miss it next time!